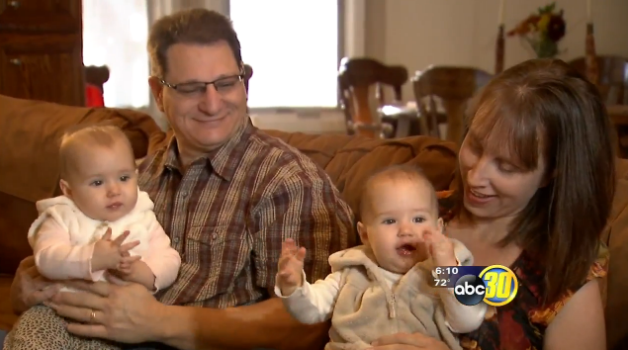 Jim and Ashley Ave almost lost hope of having children when they discovered embryo adoption. The couple adopted their embryos through the Snowflakes program. The embryo that was implanted in Ashley split, giving them twin girls, Giana and Kathryn. Now they’re planning their daughters’ first birthday party. “God’s taken us through this entire journey not to just keep it to ourselves and to hopefully reach other people,” Ashley said.